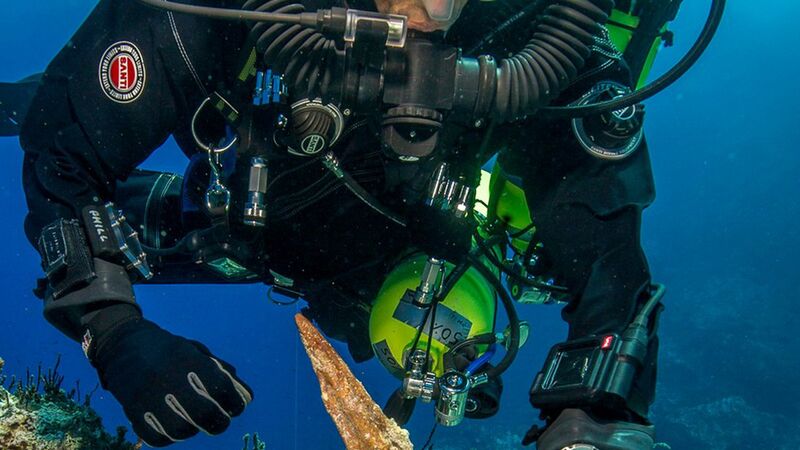 Marine archaeologists recently found bronze and marble statue pieces, a sarcophagus lid, and a mysterious bronze disk at an ancient shipwreck site off the southern Greek island of Antikythera. They think there could be large parts of at least seven ancient statues still buried nearby, according to Nature, and an international team of archaeologists and divers are planning to re-excavate. Why it matters: Few bronze statues from the ancient world survived. These potentially untreated artifacts could give scientists the opportunity to learn about ancient Greek life using modern technology. They'll look into casting methods, alloys used, and whether the statues were made only for export. If any heads of statues are found, researchers might be able to determine who the ancient models were. Throwback: The site was originally discovered in 1900, and is known for the bronze, eclipse-predicting, and planet-tracking devices found there.